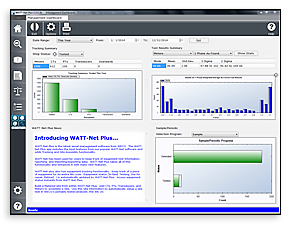 Introducing WATT-Net Software - the premier asset and smart grid device management database software solution for electric and gas utilities. 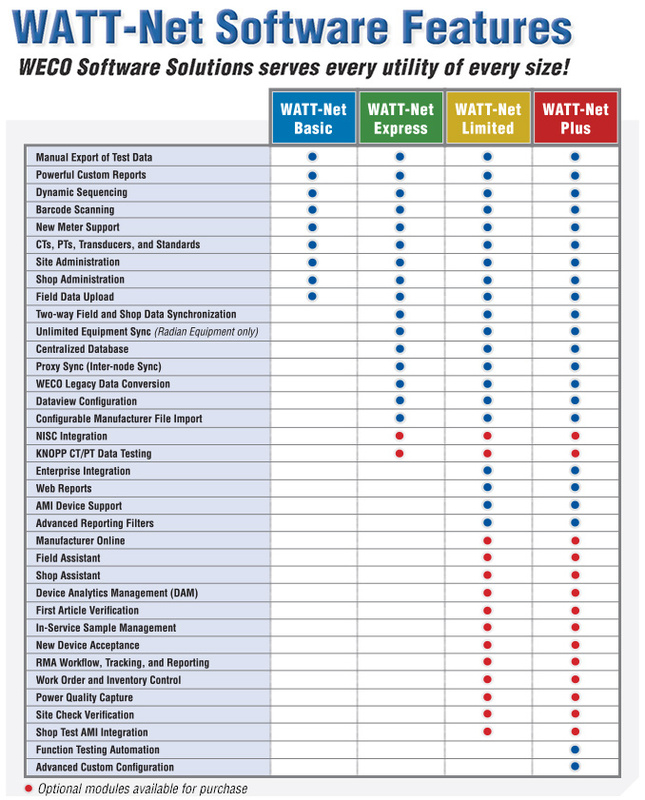 WATT-Net is an innovative, industry targeted solution with a unique testing approach that is full featured and highly configurable to meet your business process requirements. 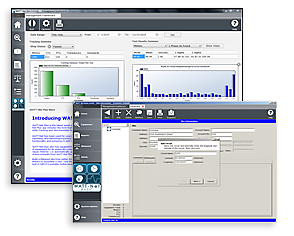 WATT-Net is the most comprehensive device management software package available that offers powerful functionality and ease of use, specifically designed for the metering industry. Manual Export of Test Data - Extract test data and export it to Excel®* or any other format to be used for analysis or to be imported into another program. Powerful Custom Reports - Aggregate and query test data to view it in a manner suited to shop needs. Use it to drive goals and measure performance. Dynamic Sequencing - Setup and perform a template of custom automated tests (Standard & Functional) to be applied based on Meter Model and test type. Barcode Scanning - Reduce the time it takes to find a record and eliminate user error in data entry when processing or testing a meter. New Meter Support - Stay up to date with developing technology and test new meter types as they hit the market. CTs, PTs, Transducers, and Standards - Track test data from current transformers, potential transformers, track standards data records, and track entire set up of a customer’s site. Shop Administration - Track a comprehensive list of devices including preformance data. Site Administration - Manage the sites of your most valuable customers, tracking a comprehensive list of all devices on site. Maintain historical snapshots including multimedia such as pictures, wiring diagrams, and GPS locations. Field Data Upload - All field testing data can be synchronized to one master database. Centralized Database - Contain and manage your data in a centralized database allowing for optimum storage, redundancy, and ease of administration. Proxy Sync (Inter-node Sync) - Leverage offline capability to download data from field equipment into a local database and synchronize it to centralized database when back online. WECO Legacy Data Conversion - Retain all your legacy data from your previous versions of WATT-Net by having it converted for use with your new software solution. Dataview Configuration - Customize the view of the data to fit the needs of your business. NISC Integration - Easily integrate meter testing data into iVue in order to make it available for use with NISC’s offering. KNOPP CT/PT Data Testing - Manage all testing data that is output from the KNOPP within the system of record (available in WNL or WNP) for all your meter testing data. 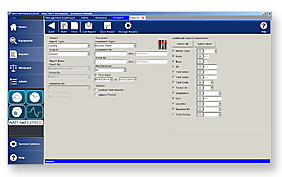 Configurable Manufacturer File Import - Simplify the process of importing new meter shipment information by creating a file import structure to fit each meter manufacturer information. *Excel ® is a Microsoft ® product. Enterprise Integration - Maximize the power of our asset management solution by integrating with your utility’s other corporate systems. Web Reports - Easily retrieve reports from anywhere in your organization using a web browser. 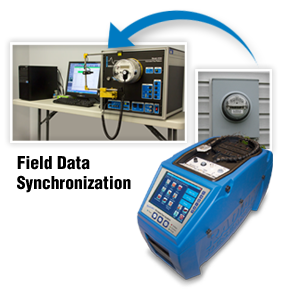 AMI Device Support - Maintain, manage, and test AMI equipped metering devices. Capture metric and functional tests including: device configurations, firmware versions, and historical data. Advanced Reporting Filters - Apply powerful and intuitive filters to customize reports fitting specific parameters. Save report templates and automatically run and distribute them. Manufacturer Online - Interface with the manufacturers’ RMA system to seamlessly manage RMAs, procurement, and inventory. Field Assistant - Leverage the power of mobile technology using tablets/phones to integrate with RADIAN and WECO field equipment, providing real-time data to field technicians. Shop Assistant - Leverage the power of mobile technology using tablets or wireless scanners to manage and report on meter related inventory. Device Analytics Management (DAM) - Harness all the meter asset management data gathered by your utility for analysis, resulting in sound business decisions. First Article Verification - Utilize the simplicity of our solution to verify First Article device configurations through an automated test process specific to each AMI technology. In-Service Sample Management - Administer in-service testing in accordance with ANSI standards as adopted by your utility. New Device Acceptance - Comply with ANSI standards or create your own for New Device Acceptance testing. RMA Workflow, Tracking, and Reporting - Ease the complicated and painful process of RMA enterprise synchronization through a powerful and intuitive interface. Work Order and Inventory Control - Optimize inventory across all locations of your utility and maintain levels of operation according to your company’s business rules. 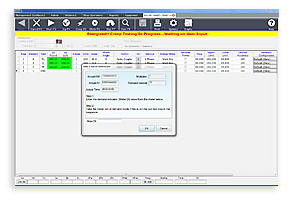 Provide work order notifications and tracking when new equipment is needed. Power Quality Capture - Assess an overall output of a site’s efficiency for historical tracking and/or troubleshooting. Site Check Verification - Measure and track snapshots of each site in order to manage modifications and maintain optimum service, as well as accuracy levels. Shop Test AMI Integration - Test each AMI meter function according to a custom template. 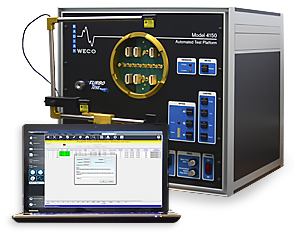 Function Testing Automation - Create a template comprised of a custom list of function tests required for each smart meter type that can be performed by WECO’s 4000 series test equipment. Advanced Custom Configuration - Upgrade our out-of-the-box solution to fit your custom needs, unique to your utility. The meter testing software solution for today’s market. solution for meter testing data management. *Field Equipment must be Wi-Fi or Ethernet card equipped. needs of utilities both large and small. Field and Shop Management: Asset and device management is seamless with real-time field test equipment sync capabilities, online connectivity, and platform integration. software solution in today’s market. Features full lifecycle management of all metering assets and seamless integration of all meter testing data. Leverages all the power of RADIAN or WECO NIST traceable hardware. Complete Integration: The WATT-Net Plus system of record easily accommodates utility requirements for full integration with numerous platforms.